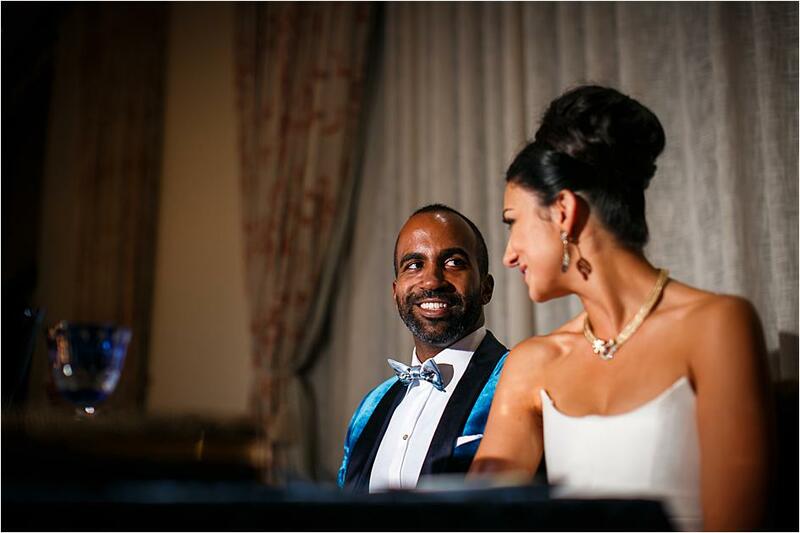 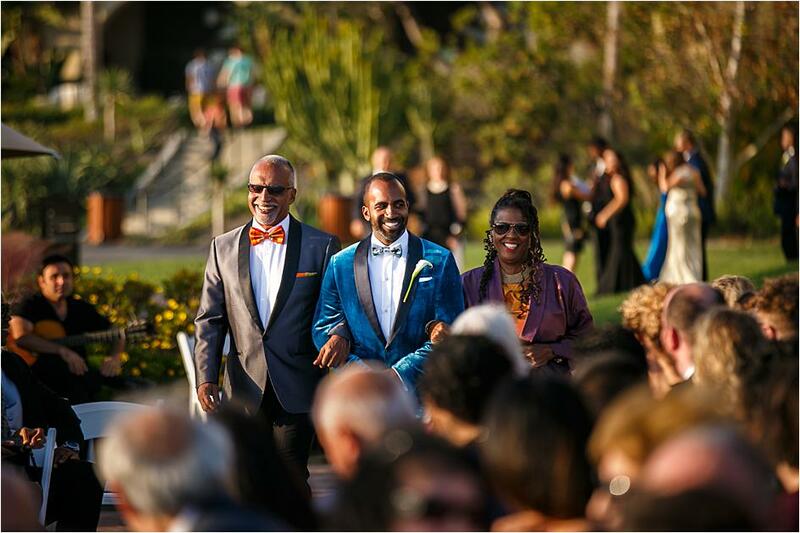 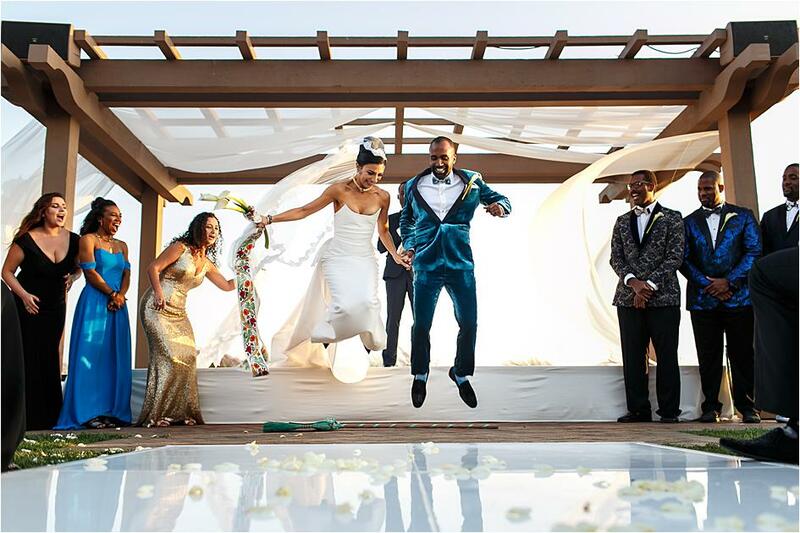 Tamara and Taj invited guests from far and wide to help them celebrate their wedding day. 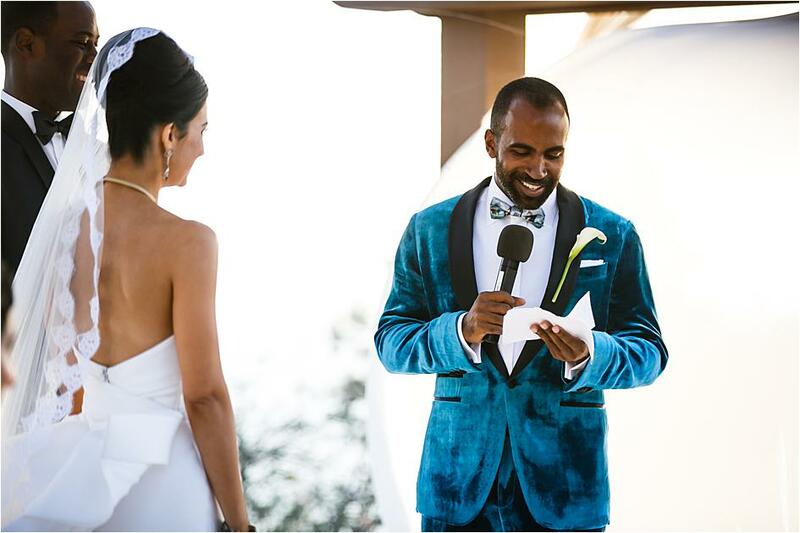 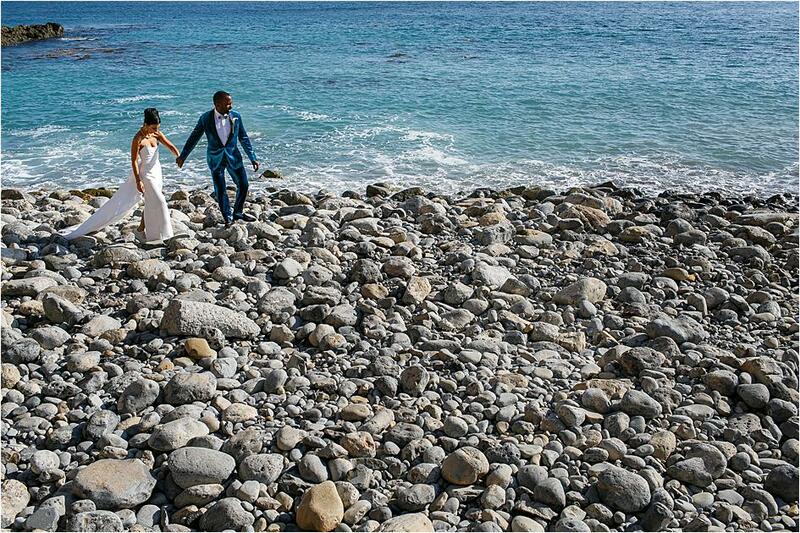 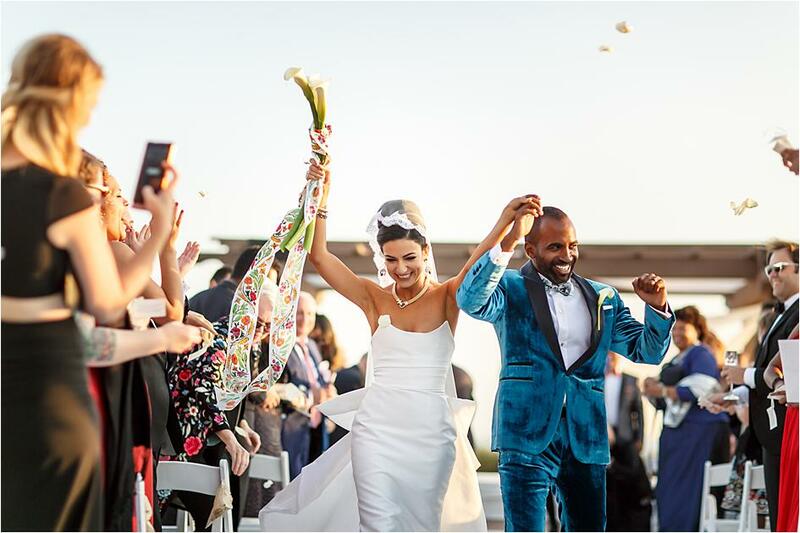 Inspired by the deep hues of the Pacific Ocean, the couple created a dreamy celebration by the sea at Terranea Resort. 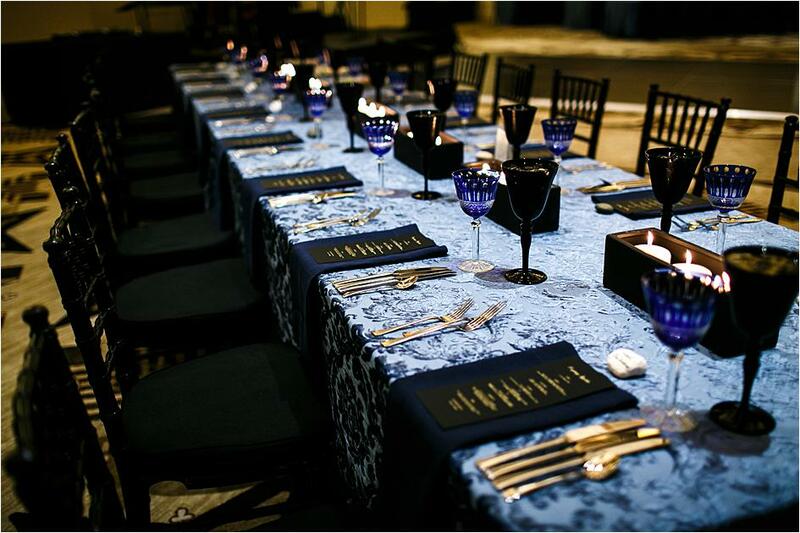 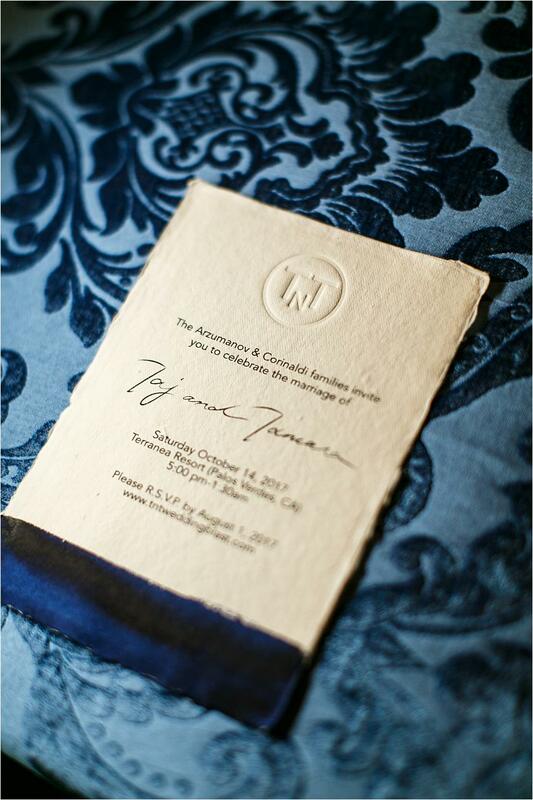 Tamara, a designer and painter, wished to incorporate the dramatic ambience of the ocean with soft detailing, and a gorgeous color palette of moody blues ensued. 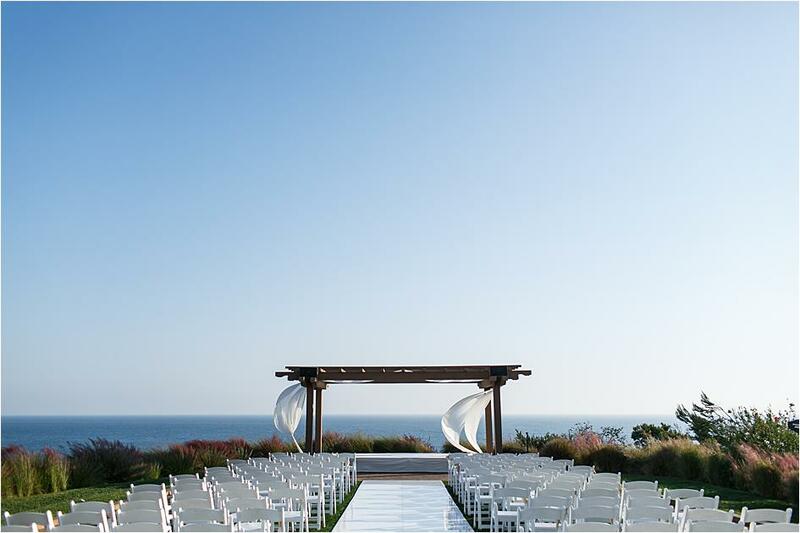 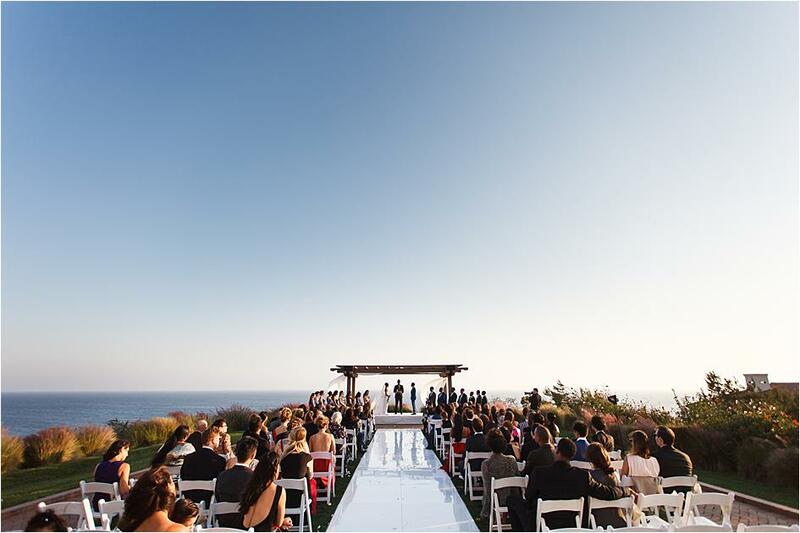 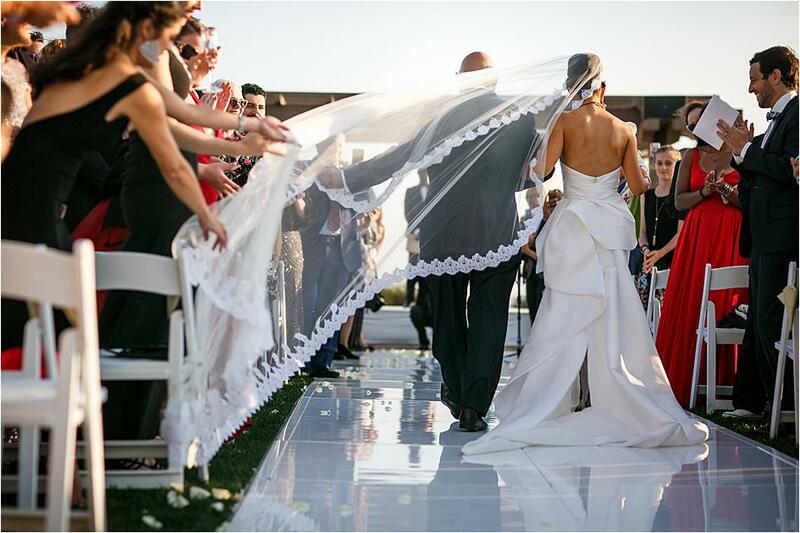 The couple tied the knot at Catalina Point, a gorgeous ceremony space overlooking the water. 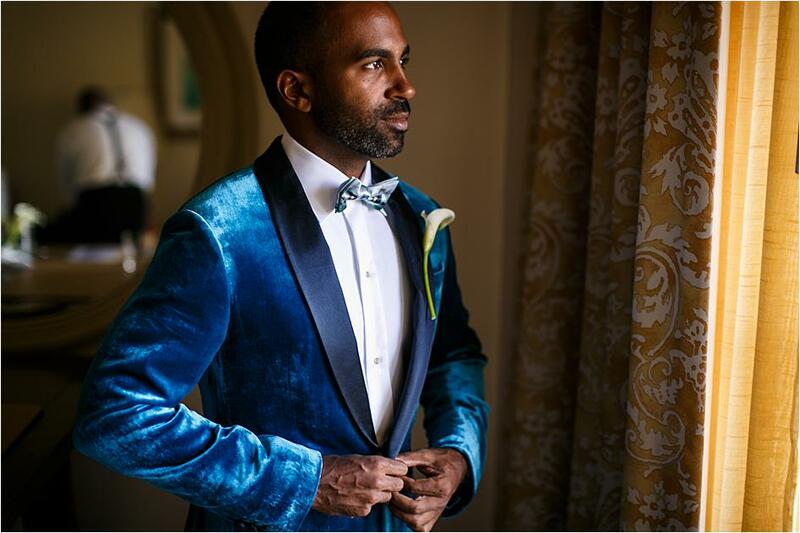 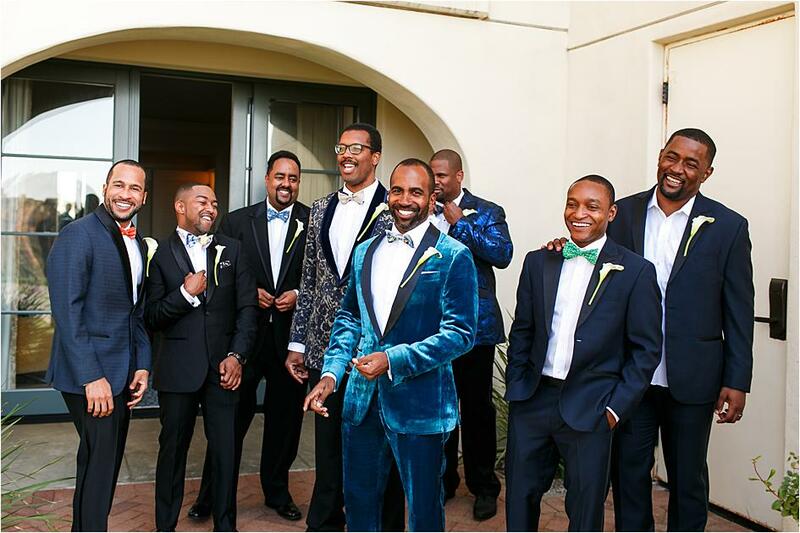 Taj's vibrant blue suit and the bridesmaids' dazzling mismatched gowns added such a beautiful unique touch to the big day. 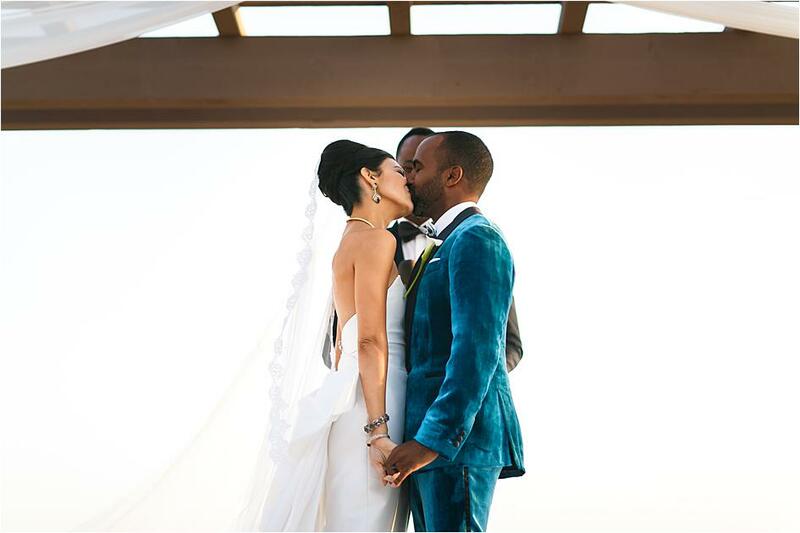 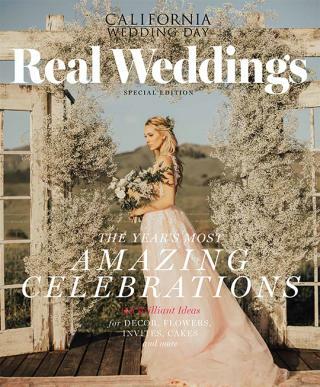 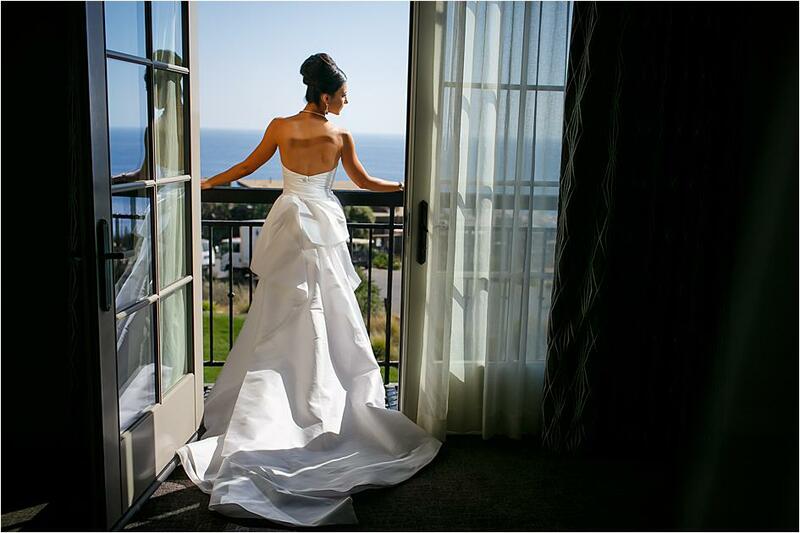 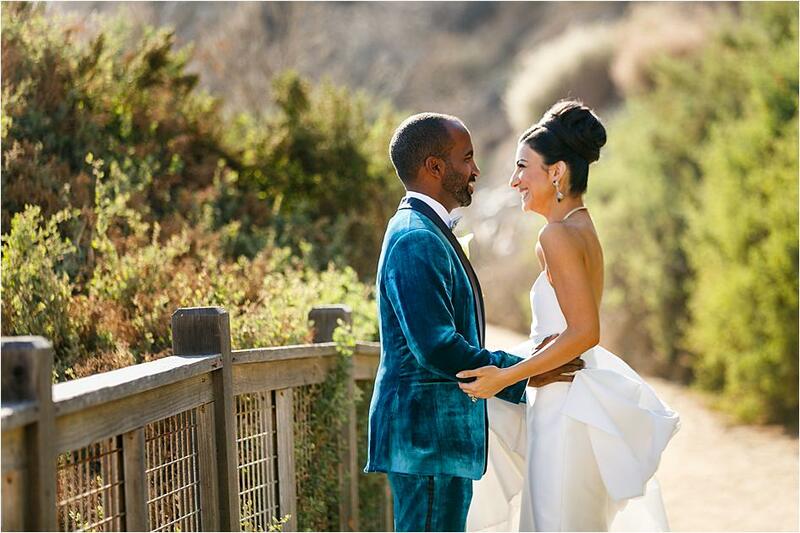 Tamara's breathtaking bridal gown was perfect for the beachy venue- we're totally in love with the stunning train and gorgeous strapless neckline. 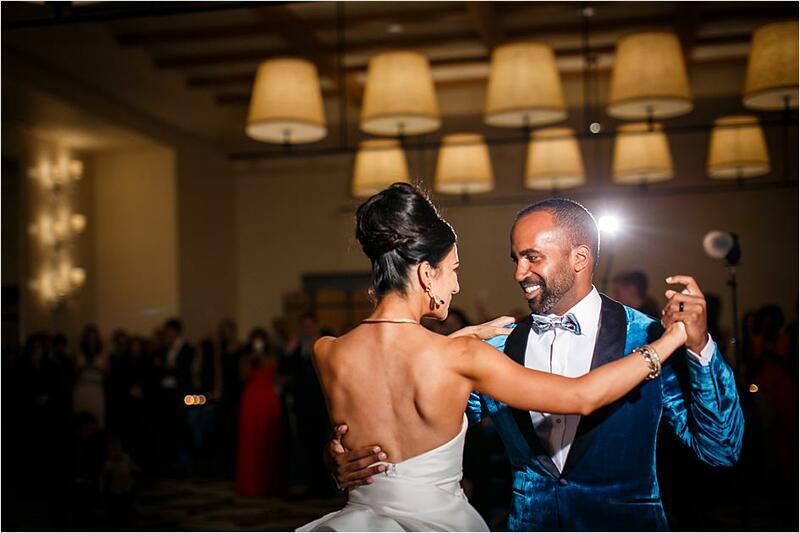 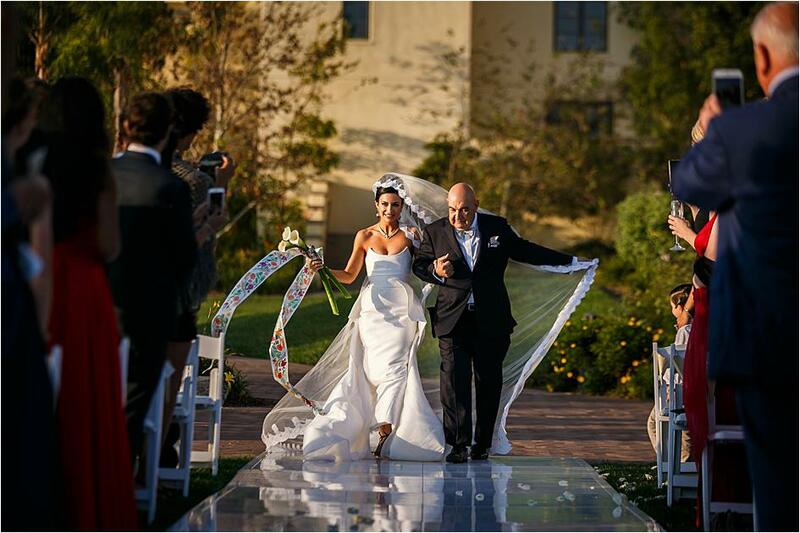 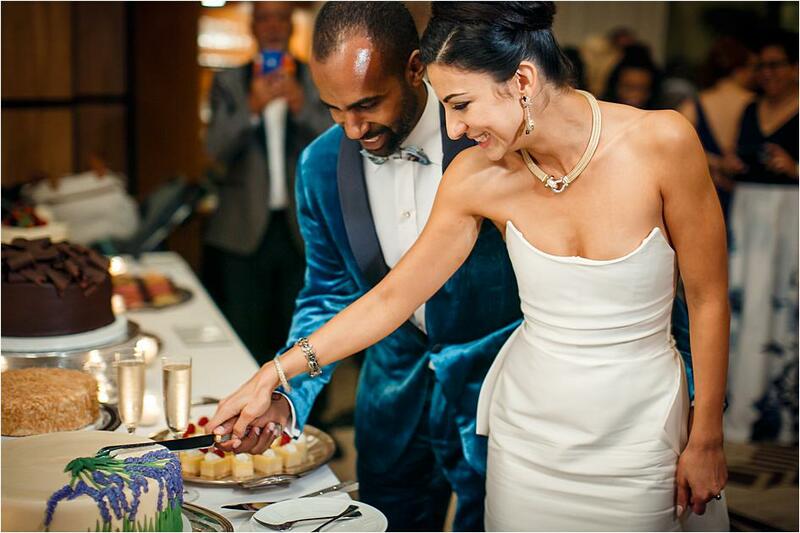 Guests moved to the Catalina Ballroom, where gorgeous place settings and decadent catering from Terranea awaited to celebrate the marraige of the bride and groom.